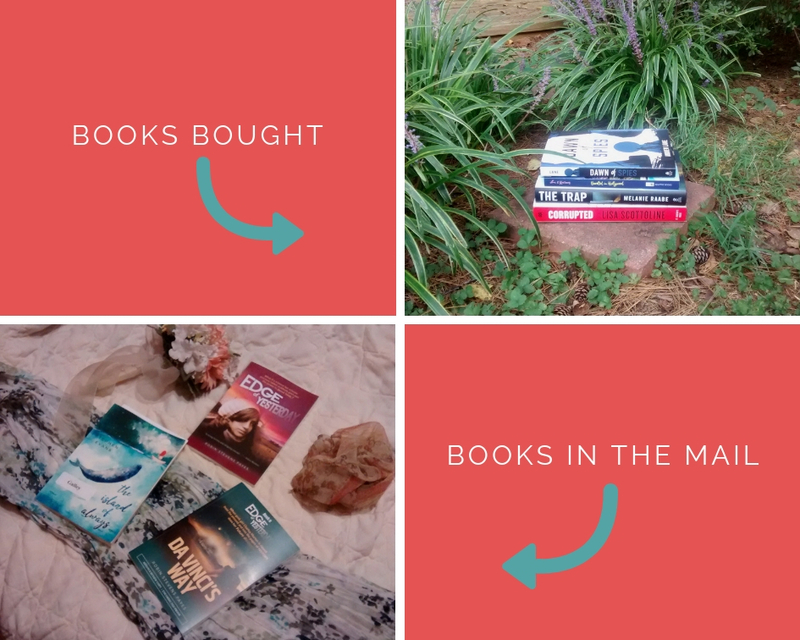 This month so far I have read 8 books: 2 print, 2 ebooks, and 4 audiobooks. 3 of them were for review. I hope to finish this week the ebook I'm currently reading, but it is very slow reading. This was the September book for my post-apocalyptic book club. I remember when this book came out there was a lot of hype and I really looked forward to it. Unfortunately, it didn't live up to the hype for me. I found it kind of boring. I didn't really care about the characters. Unlike most dystopians of the day, the oppressed aren't fighting back or even really seem to see the injustice of their situation. It did make for a good discussion at book club. I borrowed this book from the library. This was a cute, quick read for the summer, even though a bit predictable. I liked the characters. I thought the ending kind up wrapped up too quickly. I don't usually read books that feature animals because I usually wind up crying. Though there is a scene towards the end that had my heart stopping, overall it isn't a sad animal story. It was probably this scene that made the ending feel rushed. I couldn't quite get my heart going again before I turned the last page. Out of the 5 books I picked out to read in the pool this summer, I finished 3 of them. I bought this book. Todd Dwyer, a successful app designer, wasn’t planning to adopt a dog, but when his Uncle Bertie dies and leaves his little mutt Archie homeless, Todd can’t help welcoming the pooch home. Archie could charm the marrow out of a bone, but Todd’s girlfriend Gwen is less than impressed with the instant bond the fluffy white ball of fur makes with her boyfriend. When things go awry the first night, she insists that Todd give Archie to his sister, Claire, whose rural home is a day’s drive away. Todd and Archie hit the road, but circumstances compel them to make a detour to a quaint hotel run by Todd’s childhood friend, Emma Carlisle. As it happens, the hotel is hosting a colorful group of ghost hunters in town for a paranormal conference, and when Archie starts howling into the air vent, it isn’t long before their road trip turns bumpier than an unpaved country lane. But with Archie’s unerring canine instincts and loyal heart, he may help Todd and Emma see the happiness that’s waiting just under their noses . . . Overall I enjoyed the story. I'm not totally sure I like the structure it was told in and I found the ending unsatisfying unless a sequel is planned. I really liked the characters. A free book was provided by the author. Read my full review. I was kind of dreading this book. Partly because it is the last book in the awesome series, but I have never liked the strained relationship between Darcy and her parents. Even though this is the third time I've read the book, I still cried so hard I had to stop reading because I couldn't see the page through my tears. The line "I just want to make sure you have what you need before I leave" kills me. A free book was provided by the author. Read my full review. I always say I don't read fairytale retellings, but then I started thinking that I couldn't remember when I had tried a fairytale retelling. So when I saw this book available as a Prime free read with Audible narration that I would give it a try. I was right, I don't like fairytale retellings. It was a well-written story and the audiobook was well done. Pretty much all the fairytale characters show up. I even learned about a Russian fairy tale that I hadn't heard of that features Iron Shoes. 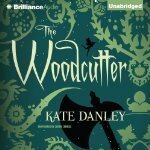 If you like fairytale retellings then you would probably enjoy this book. This was a free Prime ebook with Audible narration. But quickly he finds that one murdered maiden is not the only nefarious mystery afoot: one of Odin's hellhounds has escaped, a pixie-dust drug trade runs rampant, and more young girls go missing. Looming in the shadows is a malevolent, power-hungry queen, and she will stop at nothing to destroy the Twelve Kingdoms and annihilate the Royal Fae...unless the Woodcutter can outmaneuver her and save the gentle souls of the Wood. 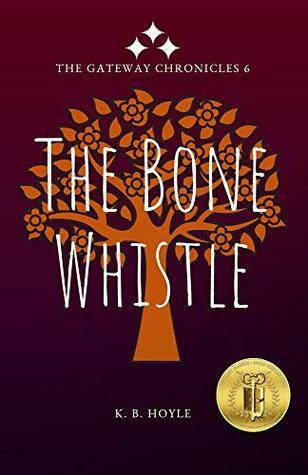 A light, fun read about family and growing up. It is an easy-to-follow audiobook. I really liked the main character Charlie, but I felt her family relied on her too much given that she is the youngest and still in high school. 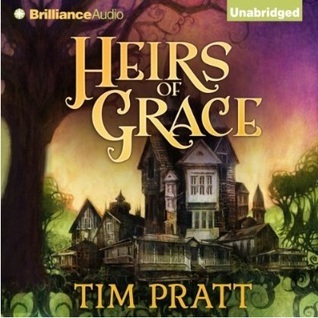 A free audiobook was provided by Audible. Read my full review. It was a kind of interesting mystery. It was kind of hard to keep the characters straight. I really liked the voice of the person who was reading it. This was a free Prime ebook with Audible narration. Selchester Castle in 1953 sits quiet and near-empty, its corridors echoing with glories of the past. Or so it seems to intelligence officer Hugo Hawksworth, wounded on a secret mission and now reluctantly assuming an altogether less perilous role at Selchester. The Castle’s faded grandeur hides a web of secrets and scandals—the Earl has been missing for seven years, lost without a trace since the night he left his guests and walked out into a blizzard. When a skeleton is uncovered beneath the flagstones of the Old Chapel, the police produce a suspect and declare the case closed. Hugo is not convinced. With the help of the spirited Freya Wryton, the Earl’s niece, he is drawn back into active service, and the ancient town of Selchester is dragged into the intrigues and conspiracies of the Cold War era. 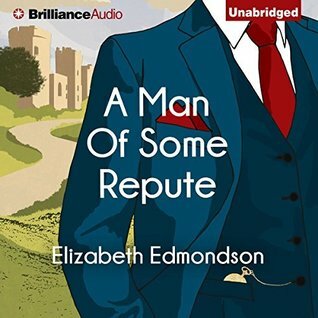 With a touch of Downton Abbey, a whisper of Agatha Christie and a nod to Le Carré, A Man of Some Repute is the first book in this delightfully classic and witty murder mystery series. It kind of reminds me of a Jack Reacher novel. It is an okay suspense novel. I'm not sure if I will continue with the series. This was a free Prime ebook with Audible narration. The first in a series featuring Jon Reznick, covert assassin for the US Government. 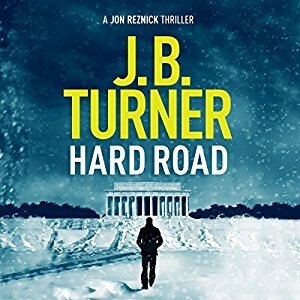 Since his wife died in the Twin Towers, Jon Reznick, a covert assassin for the US Government, has cared about nothing except his eleven-year-old daughter. But when he's ordered by his handler to kill a man in an exclusive Washington DC hotel, he discovers his intended victim is really a government scientist working on a secretive military project. Reznick is quickly ensnared in an extraordinary web of murder, extortion and double-crosses - and then his daughter's safety is threatened as well. But Jon isn't just up against the shadowy group who want the scientist eliminated. FBI chief Martha Meyerstein wants Reznick captured as well. And soon both Reznick and Meyerstein find themselves in the middle of a terrifying plot by a foreign government to launch a bio-terrorism strike against the United States. 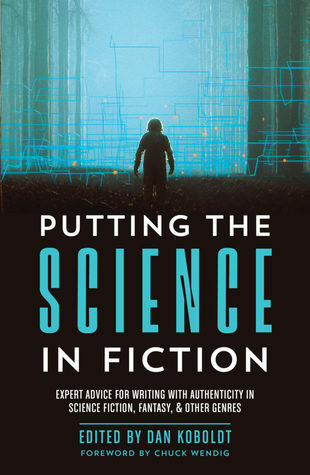 This is a collection of essays from scientists and medical professionals about how one's writing can be more authentic when it involves science. I'm finding the essays a bit dry but can see how they would be useful to authors who write science fiction or medical dramas. It comes out in October. I received this from Netgalley. It is kind of outside of my normal reading as I don't read a lot of romance or fantasy, but I'm finding it really enjoyable. I have a little more than an hour left of it. It was a free Prime ebook with Audible narration. Recent art school graduate Bekah thought she'd hit the jackpot: an unknown relative died, and she inherited a small fortune and a huge house in the mountains of North Carolina. Trey Howard, the lawyer who handled the estate, is a handsome man in his twenties, and they hit it off right away, and soon become more than friends. Bekah expected a pleasant year to get her head together and have a romantic fling. Problem is, the house is full of junk...and siblings she didn't know she had are willing to kill her for it. More important, the junk in her new house is magical, she's surrounded by monsters, and her life seems to be in mortal peril every time she ventures into a new room. As Bekah discovers more about her mysterious benefactor and the magical world he inhabited, she realizes that as tough and resourceful as she is, she might just be in over her head. This is the October book for my post-apocalyptic book club. I loved watching Reading Rainbow with Levar Burton. Though he will always be Jordy from Star Trek to me. I checked it out from the library. I started it Saturday afternoon and I was able to read more than 100 pages. I'm glad this is a quick read as we meet on Thursday. This book was published in 1997. The United States of 2019 is a very different place. Economic depression, an enormous earthquake, and the assassination of a black President-elect have turned the country into a war zone. Four people, each as different and troubled as the next, are the nation's last hope. But can they overcome the devastation and build a new world? 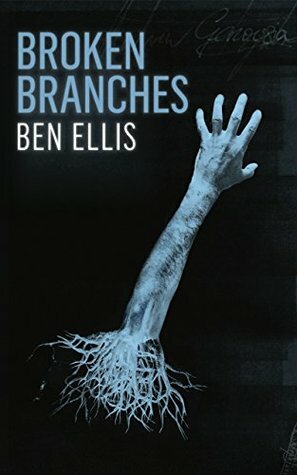 A novel on an America torn by race wars where black people are kidnaped to serve as body-part donors. The heroine is a woman who invents a machine that increases the body's immune system to the point where disease is conquered. I'm not sure what I will read next. Want to help me decide? Linked to It's Monday! What are you reading? at Book Date, Month in Review at Book Date, and Monthly Wrap-up (with giveaway) at Feed Your Fiction Addiction. Nice variety of books. Save the Date and Aftermath both appeal to me. Come see my week here. Happy reading! Oh no on Never Let Me Go, it got so many good reviews. *sigh* A Man of Some Repute sounds good though, it's on my TBR already. I've been eyeing Tear Me Apart, as I love J.T. Ellison...but I've also vowed to cut down on purchases. I may request it from the library. Yeah, that will work. You have been reading a lot! Sometimes a book that doesn't work for us most likely makes a better book club read because we have a lot to say... about what didn't work!! I'm not sure The Miniaturist is for me either, but I am interested in the show. Sorry to hear Never Let You Go was disappointing. I've been a little curious about it, but not curious enough to read it I guess? A Man of Some Repute, with that delightful cover, looks like something I might like- I do like the premise, for sure. What a great week of reading you had. Your take on show vs. book for The Miniaturist is like mine for Jane Austen. I like the movies and mini series more of P&P than reading the book but I don't mind the audiobooks for all of Austen's works. I'm similar with Jane Austen. I prefer the movies and series too. The only way I got through P & P was to listen to the audiobook. Never Let Me Go was so-so for me; I loved some things, didn't care for others, but overall I think it's an interesting book. And a brilliantly acted movie: Keira Knightley, Carey Mulligan and Andrew Garfield - Fantastic, all 3. 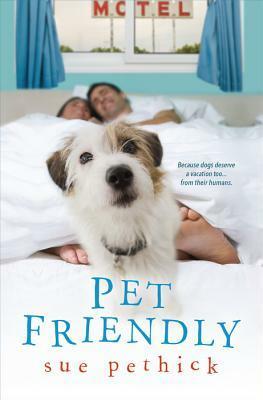 Pet Friendly was one I wanted to read. 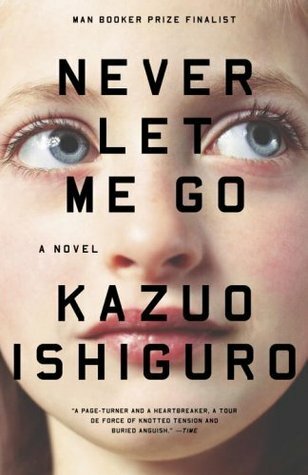 I feel like I need to read Never Let Me Go, but who knows if I'll have the time. I read Clutch recently as well. Thanks for stopping by my wrap-up post at Lisa Loves Literature earlier! Pet Friendly was definitely cute. I found it on the bargain rack for $5 at my Barnes & Nobles. Looks like you have been quite busy. I vote to read Meltdown. I don't know any of the books but that cover just stands out to me. I'm leaning towards Meltdown too. I'm finishing up a collection of essays so I don't think I want to read a collection of short stories right now (the fishing and murder book) and my reviewer Susan reviewed Before She Sleeps so I don't feel a lot of pressure right now to read that one. You had a wonderful reading month. 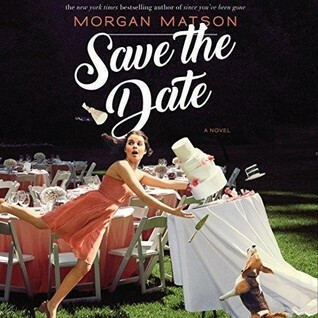 Save the Date has been on my list for sometime now and I've never read anything by Morgan Matson. My children also enjoyed watching Reading Rainbow with Levar Burton. Haha - that's not good that your spin class is making you more tired when it's supposed to provide energy! I'm sure you will get used to it and start feeling that energy from it soon! I just joined a gym and may take some spin classes myself! Sorry Never Let Me Go was a disappointment. I just saw that one on a list of (possible) 21st century classics and I was curious about it. I enjoyed reading about the variety of books you read this month. I also like to vary my genres and the "lightness/heaviness" of the books I choose. I've never taken a spin class, but I take Jazzercise classes and from my experience, your body will feel better and not so tired. If not, you may need to adjust your nutrition. I found I needed more protein. You are so close to your goal! Good for you! I read Bina Shah's Before She Sleeps and would recommend it if you like dystopian novels. You have had a full month of reading! You tore up this month with the reading. Thank you for reviewing and highlighting so many books. I still have yet to read Save the Date by Morgan Matson. I'd be interested to see if I had the same opinion on her family as you, that's a really interesting take and sounds like something I would agree with. :) Here's hoping you had a wonderful rest of your month and hopefully November will be just as fabulous!